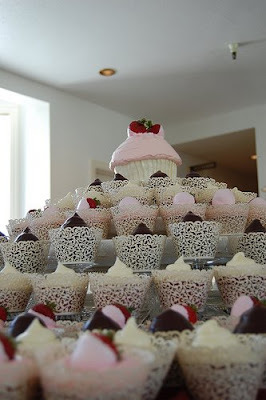 We've stumbled upon some confectionery inspiration for those of you considering having wedding cupcakes. 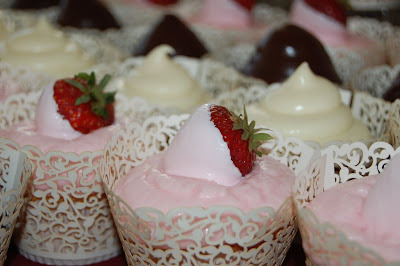 Take a look at these beauties from CupcakesTakeTheCake . I wanted to do this at my wedding but my family thought it was ghetto.